A New York City Filipino favorite just joined Nissin Cup Noodles and tangy sinigang together in a mouthwatering combination. 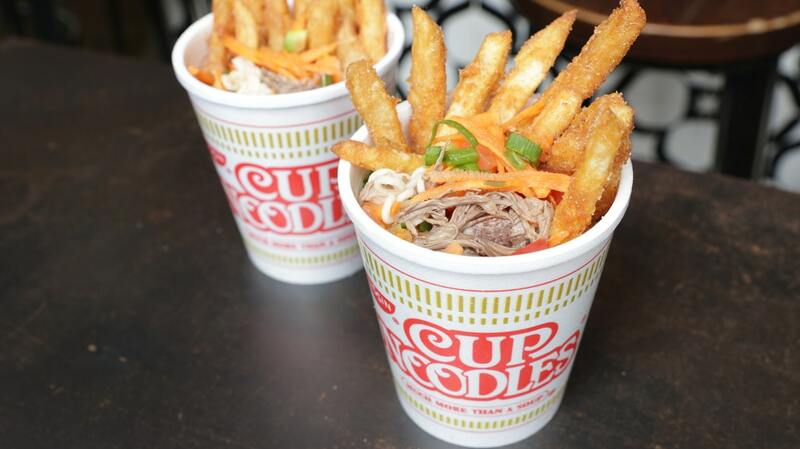 The Sinigang Cup Noodles was created by Jordan Andino of Flip Sigi, a “Filipino Taqueria” that serves up classic eats from the Philippines in sandwich, taco, and burrito form. For Andino, this item is the fusion of his love for Nissin Cup Noodles growing up and one of his favorite traditional dishes. For those who’ve never tried, sinigang is a tamarind-based soup that provides a bright, acidic punch of flavor. Andino’s spin involves braising beef short ribs in the broth for three and a half hours to perfectly contrast the richness of the meat.